Would you like to know what your SEO Ranking Score is on Google, Yahoo or MSN Search Engines? Then don’t wait and submit your keywords for the free Search Engine Optimization (SEO) Ranking Report to find out what your rank is. The Search Engine Optimization can be affordable! The SEO process may take up to 12 months and may cost between $150 to $5,000 a month depending on the competition, complexity, your goals and a number of keywords. Call us at 727-938-8891 to get a quote or a free consultation. Do I really need SEO? What is SEO? Would you like to see 12 SEO facts your competitors don’t want you to know? Search engine optimization is the process of improving the volume and quality of traffic to a web site from search engines via “natural” (“organic” or “algorithmic”) search results. Usually, the earlier a site is presented in the search results, or the higher it “ranks”, the more searchers will visit that site. SEO can also target different kinds of search, including image search, local search, and industry-specific vertical search engines. Search engine optimization Ranking Report. Would you like to know what your SEO Ranking Score is on Google, Yahoo or MSN Search Engines? Then don’t wait and submit your keywords for the $99 Search Engine Optimization (SEO) Ranking Report to find out what your rank is. Remember that our Florida SEO service is affordable and reliable alternative to the Pay per Click (PPC) advertising campaign such as Google AdWords. On the long run you will much better off with the organic SEO. By using the key-words that you will provide us, we will make sure that your site shows up on the first page of Google when those key words are submitted on the Google search engine webpage or tool-bar. Would you like to see you website on the top search engine page in 6, 4 or even in a couple of month time? 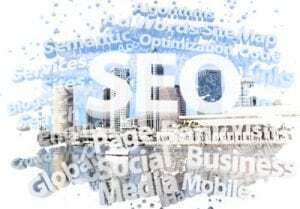 Affordable SEO Tampa Company (www.affordableseofl.com) will make sure that your website is well optimized for the most valuable keywords which might be applied to your business. The company provides web marketing and SEO services for local companies in Tampa Bay, state of Florida and across the United States. Local SEO Company provides local seo and Pay per Click services or small business companies in Tampa FL. If you are on the West coast we can recommend Orange County SEO Company which has eight years experience in providing Search Engine Optimization, Internet Marketing and Social Media Marketing services in California.